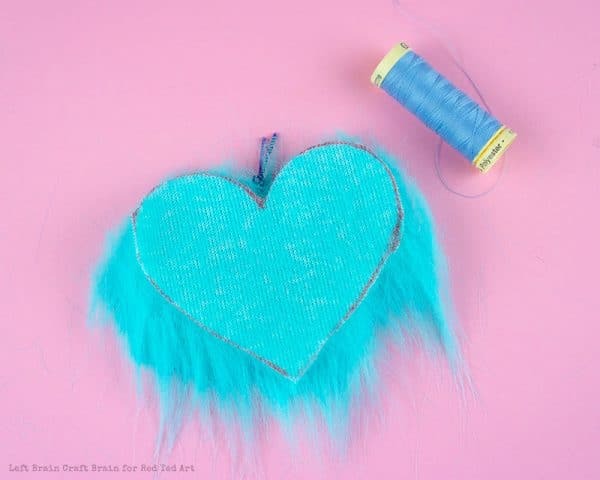 We thought yesterday’s Finger Knitting LOVE decoration was our last int he 31 Days of Series.. but oh no… here is one fabulous and gorgeous last entry – a fabulous Sewing Project for kids. 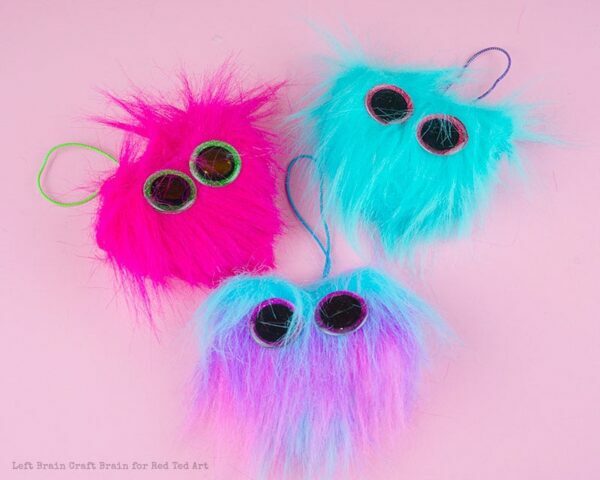 And I promise you, you won’t be sad that you caught it: Fuzzy Heart Monster Backpack Charms – a fabulus Friends’ Valentine’s Gifts for Kids to make. My daughter saw the photos and squealed. 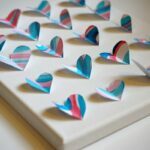 A fabulous Guest Post from Anne at Left Brain Craft Brain! 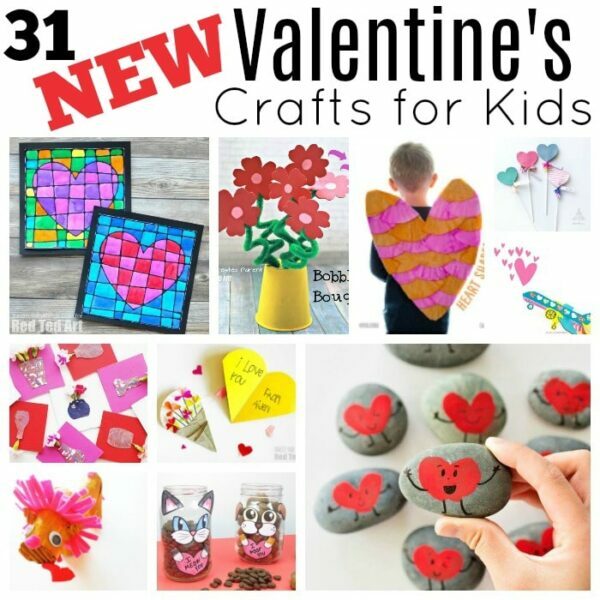 You can see ALL of our NEW Valentine’s Day Projects from this years’s 31 Days of Love series, as well as catch up on our other favourite Kids’ Valentine’s Day Crafts. 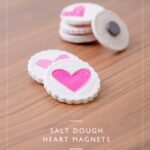 Lots of fabulous inspiration for you! Do you have a stuffed animal lover in the house? 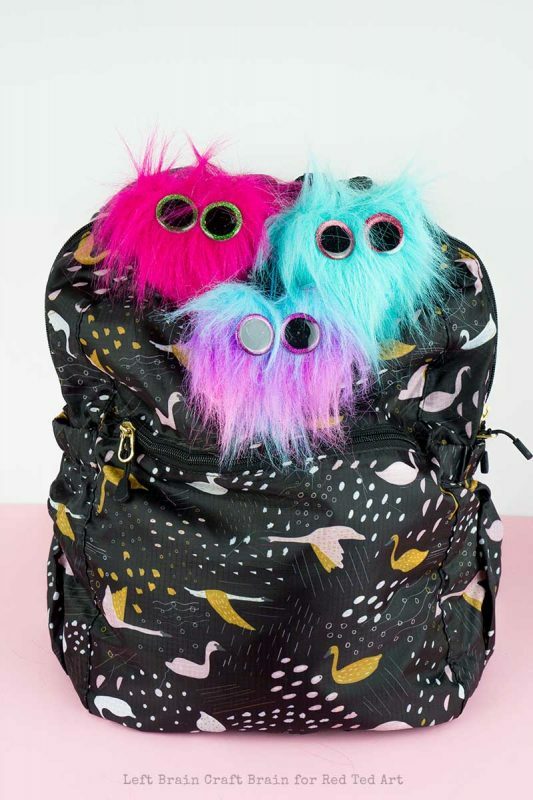 Why not make them this adorable Fuzzy Heart Monster Backpack Charm for Valentine’s Day? 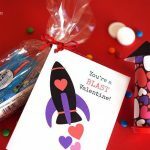 They’ll love showing their love on their backpack on Valentine’s Day or any day of the year! 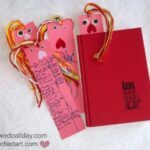 I’m Anne and I’m thrilled to be visiting Red Ted Art for the 31 Days of Love Series! 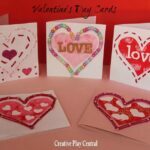 I’m the creative brain over at Left Brain Craft Brain where I write about hands-on crafty and learning activities for kids. 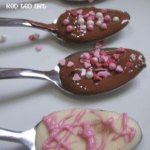 I’m also the publisher and author behind the best-selling books, STEAM Kids, which give kids exciting, science, tech, engineering, art, and math projects they’ll love to learn from. So let’s get started with this adorably goofy heart monster! 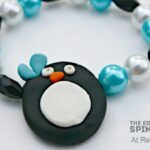 You’ll need a few things to quickly sew up one of these adorable creatures. 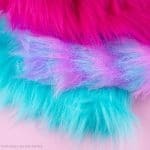 The first and most fun step is to pick which fake fur you want to use! (Affiliate links have been added for convenience. 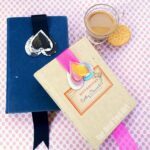 I will earn a small comission which will go towards the upkeep of this site, should you choose to buy through these links). 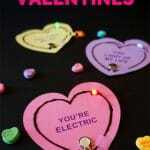 First cut out 2 hearts from your fake fur. Grab the elastic cord and tie a knot in the end. 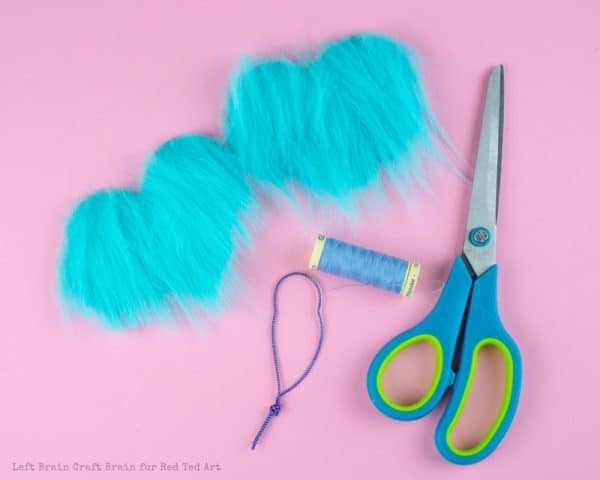 Stack one heart, fur side up, then the elastic cord with the knot facing out of the heart, then one heart, fur side down. Pin together if desired. Hand stitch the heart 3/4 of the way around, making sure the elastic is securely attached. 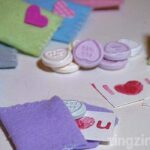 You can use a sewing machine if you prefer. Flip the fur hearts right side out. Hand stitch the hole closed. 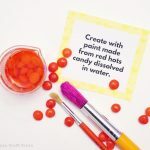 It’s really simple to make some glittery eyes like your kiddo’s favorite Beanie Boo. 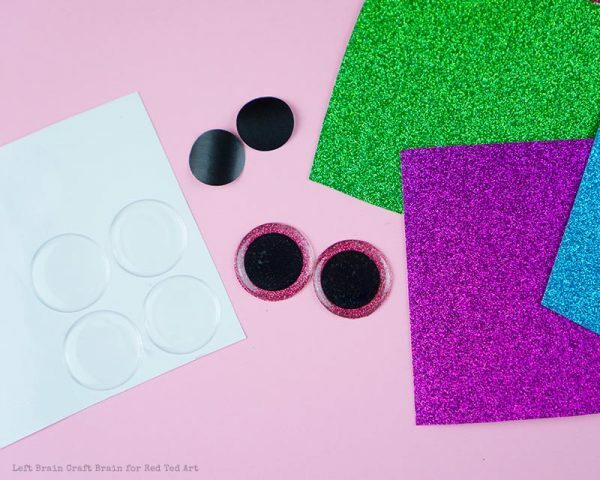 Punch out a 3/4″ circle of black paper and stick to the center of one of the epoxy dome circles. Put a drop of hot glue onto the back of the black paper and glue to a piece of glitter paper, glitter side up. Cut out the glitter paper around the edge of the epoxy dome sticker. Hot glue onto the Monster. 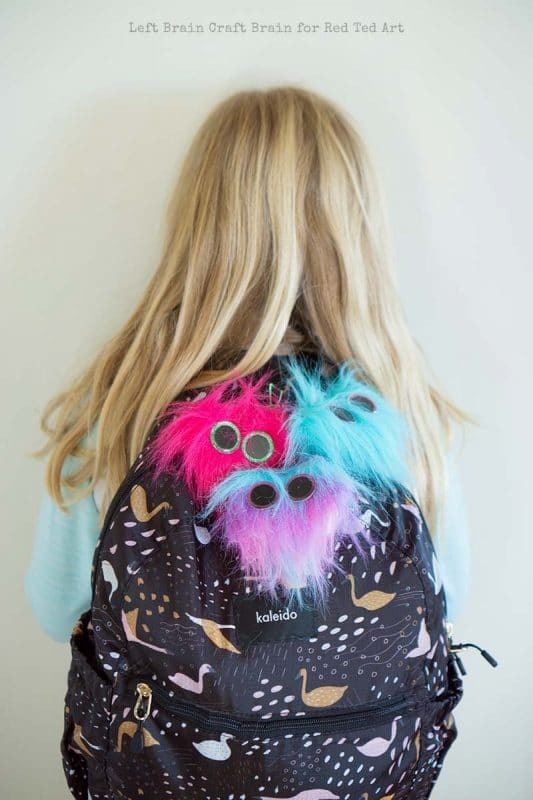 My daughter’s totally in love with her fuzzy heart monster backpack charms!! 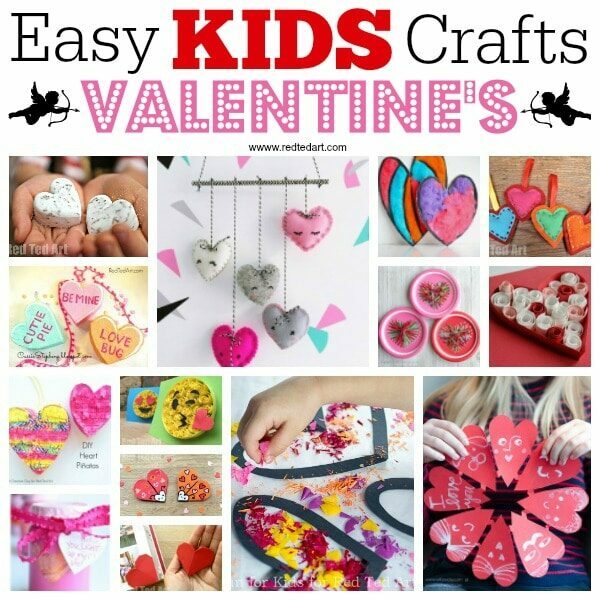 And if looking beyond these.. how about our collection of Kids’ Valentine’s Day Crafts?